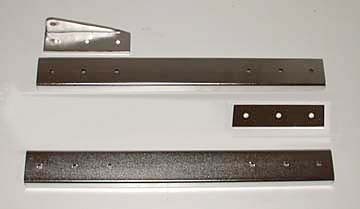 Each set is made up of 2 - 18" extension bars. 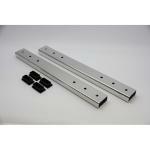 Made of marine grade stainless steel, electropolished. 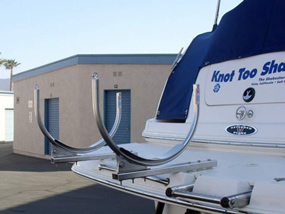 Use these 18" stainless steel electro-polished extensions with Pivoting C-Ring Davit System For Inflatable Boats for added room on your swim platform. 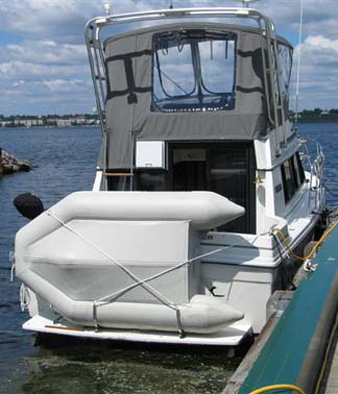 Mounts on top of swim platform to move davits 12" outboard past aft edge of swim platform. 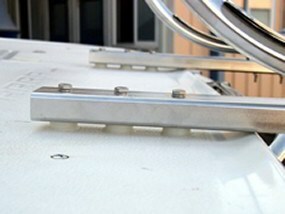 Model 6000REP Reinforcement plates are highly recommended for use with these extensions - they come free when ordering a Model 6000 or 6100 Pivoting Davit System or a Complete Davit System. 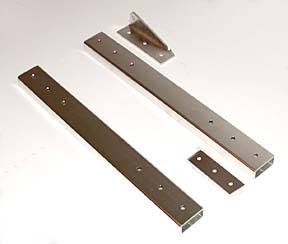 The Pivoting Motor Mount Bracket. 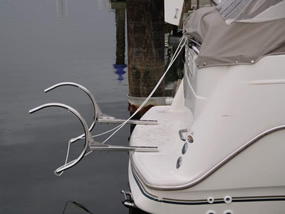 The Complete Pivoting C-ring Davit System - pivoting c-ring davit, pivoting motor mount and adjustable stand-off bars. 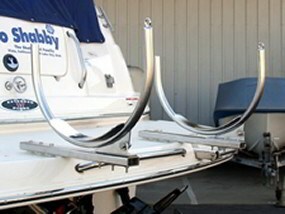 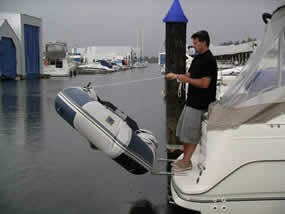 Optional adjustable 20" - 40" stand-off bars are recommended to keep dinghy in upright position on swim step.